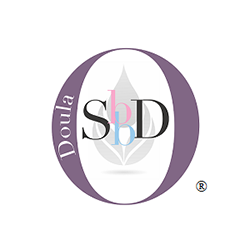 Our team of professional doulas provides support for expectant families in the Greater Cincinnati and Dayton areas. At Tender Beginnings, we partner with families like yours in the greater Cincinnati & Dayton region who are looking for personalized and professional support to navigate pregnancy, birth, and early-parenting. Tender Beginnings is a group of professional and experienced pregnancy, birth, and postpartum consultants that serve the Cincinnati & Dayton area. We are specially equipped to help you simplify what can feel like a complex period of life, and to bring a little more calm to your transition as a growing family. Whether this is your first baby or your fifth, we understand the unique challenges you face. Our goal is to fill in the gaps in modern prenatal and postpartum care, so that you can feel confident and supported from first pregnancy test to baby's first birthday, and beyond.Our team of professional Childbirth Educators, Postpartum & Infant Care Doulas, Birth & Labor Doulas, and Lactation Consultants are trained and insured. We have been trusted by doctors, nurses, lawyers, engineers, teachers, and more settle into their brand new job as parents, and are ready and experienced to do the same for your growing family. As a client of Tender Beginnings, you will enjoy comprehensive care and support 24/7. Our doulas and experts are available to you at any time of the day or night to give you peace of mind. Interested in getting started? Fill out the form at the link below and a doula will be in touch!